The Promise is a simple way to help young people and adults keep the fundamentals of Scouting in mind. The Promise is the oath taken by all members as they commit to sharing the values of Scouting. It is therefore vistal that every member considers the Promise and discusses its meaning before making the Promise and being invested into Scouting. Making the Promise is the most important act in Scouting and is common to every Section. 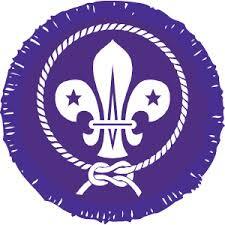 Scouting has a special ceremony for making the Promise called Investiture or being invested. When a young person makes their Promise they receive their Group Scarf, The Membership Award and are welcomed as a new Member into the Scout family. Scouting is available to people of all faiths as well as people who are humanist, atheist or have no affirmed faith. To meet these circumstances, there are different variations of the Promise that can be made. For Muslim members, the word “God” can be replaced with “Allah” and Hindu members may choose to replace “God” with “my Dharma”. Members of other nationalities, living in the UK may choose to replace “Queen” with “the country in which I am now living”. There is also an alternative Promise for those who are humanist, atheist or have no affirmed faith.